Best value in Lakeland as the sellers of this pristine home in the alluring golf community of Eaglebrooke are ready to pass the torch onto YOU! !This meticulously maintained 3 bedroom 2 bath jewel showcases 2250 sq ft of classic and charming living space. This beauty sits on a peaceful pond over looking the 14th green of this 4.5 star course. Enjoy the nice fall days watching the golfers pass by while you relax in the comforts of your back porch Jacuzzi. With its granite counter tops, stainless steel appliances, fresh paint inside (with a neutral color pallet) , and new carpet, this is truly a turn key home. All thats missing is your family..With the Polk Parkway close by, commuting to Tampa or Orlando is a walk in the park. 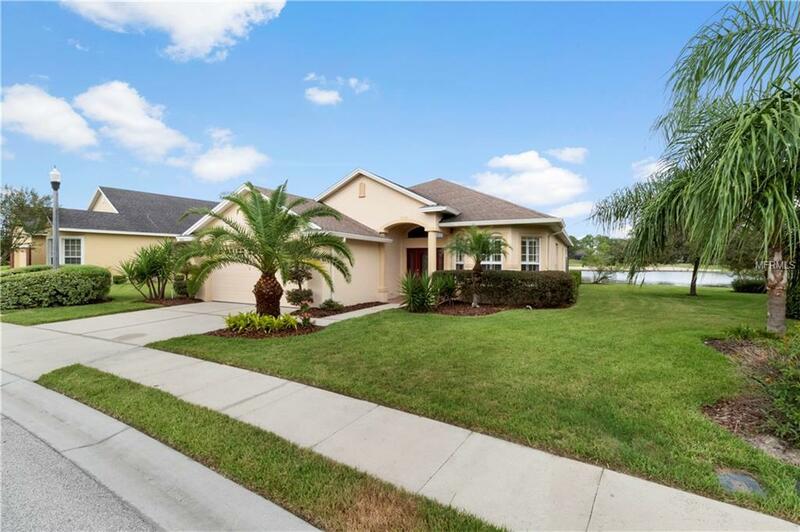 This 24 hour guard gated community is conveniently located to shopping, medical, restaurants, and downtown Lakeland. Not too many homes of this size, water view, and location around so don't miss out on this deal. This one will go fast so make sure you call today for a viewing. Amenities Additional Fees Ground Maintenance Private Roads Guarded Gate 24/7 Etc..Buyer To Confirm And Read Rules And Regulations Of Hoa By Accessing Documents On Www.Eaglebrooke.Net. Cdd is included On The Tax Bill. Pet Restrictions See Deed Restrictions And County Code.